Thank you for choosing to visit Fabulous Foods catering. Servicing Memphis, TN; Helena, AR; Forrest City, AR; Marianna, AR and the greater Midsouth area since 2005. 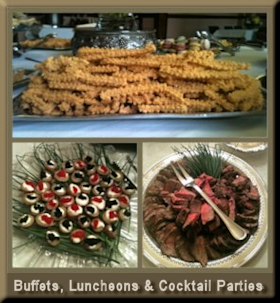 Fabulous Foods offers a variety of catering services including; weddings, rehearsal dinners, box lunches, buffet service, seated luncheons/dinners, a la carte menu selections, drop-offs, and pre-packaged items available for pickup at local businesses. Browse our selection of menus from International to Southern cuisines and much more. Menus choices include A la Carte, Cocktail Party, Brunch, Luncheon, Dinner, Tapas, Around-the-World, Box Lunches, and more. 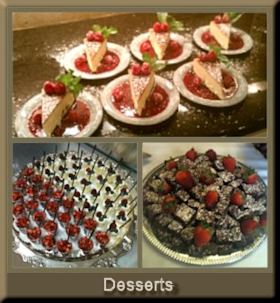 Learn more about Fabulous Foods and Chef Helen McClain. Read testimonials from our satisfied customers. View mouth watering pictures from our fabulous events in the photo gallery. Questions? Contact us today. Don't forget to like us on Facebook to keep up with seasonal specials.